The explosion of colour attracts thousands of tourists each year and is not to be missed by carnival goers across the globe. This ensures the Seychelles Islands remain relevant to the tourism industry and will broaden the visibility of tourist destinations in the archipelago of 115 islands. The festivities kick off on Friday 25 April with the Official Opening Ceremony followed by a Carnaval Masquerade Ball at the Eden Plaza where guests will be welcomed with a drink and a snack meal. The Carnaval Parade will start on the Saturday morning and will flow through the streets of Victoria, the capital of Seychelles. Ongoing entertainment will be provided throughout the city and includes landmarks such as the Clock Tower which was erected over 100 years ago and is a smaller version of the tower erected in London in 1897 as a memorial to Queen Victoria; and Freedom Square which will host the first carnival especially for kids on Sunday. Local hotels will ensure there is enough food to go around for all the festival goers while live local and international bands will ensure there is enough entertainment to suit the whole family. Seychelles continues to be a melting pot for all cultures across the world and it is fitting that the islands become the focal point for representatives of countries from all over. Colourful floats taking part in the parade showcases all the contributors’ national carnivals and cultures and will ensure that this carnival is one that won’t be forgotten any time soon. Eden Island is very proud to be a major sponsor to the Carnaval International de Victoria. The Nottinghill Carnival Group as well as a South African press delegation will be hosted on Eden Island. 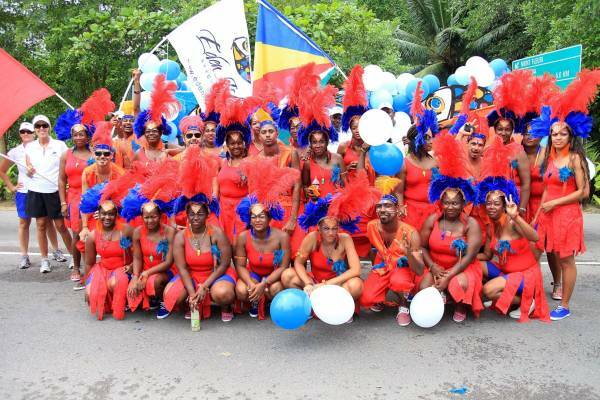 Eden Island staff members have also been hard at work rehearsing and preparing for the carnival parade on Saturday.